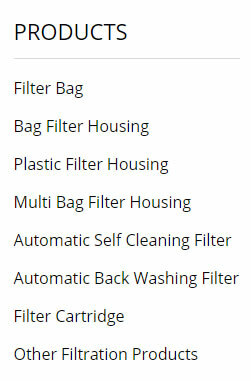 SDX Self-cleaning filter, is the high efficiency self-cleaning filter. Removing the impurities particles on the filter element outside by mechanical scraping, it continuously filters on-line.SDX filter is designed for fine and accurate filtration ranging from 100-1000micron. It is capable of the filtration for water and liquids of viscosity up to 800000cps. Automatic back washing filter housing, The filtered liquid flow in the housing, filtered by the filter screens, the impurities are trapped inside the filter screens.Because the back washing process is proceed one group by one group, so the filter system will keep the filtration working all the time. Tubular Back Washing Filter, Tubular Backwashing Filters is the automatic filtration system according to the modular design concept. It has the high reliability and flexibility for expanding. Automatic Self cleaning basket strainer can filter raw water and wash filter cartridge automatically. During the wash, the system supplies water continuously, so customers can monitor filter’s working condition.